Why Are Colleges Really Going Test-Optional? : NPR Ed Hoping to improve campus diversity, George Washington University recently joined other schools that no longer require applicants to submit SAT or ACT scores. But does ditching the tests actually help? "The test-optional policy should strengthen and diversify an already outstanding applicant pool and will broaden access for those high-achieving students who have historically been underrepresented at selective colleges and universities, including students of color, first-generation students and students from low-income households," said Laurie Koehler, who leads enrollment efforts at George Washington. It sounds good, but in a recent column in The Hechinger Report, Stephen Burd asks whether schools have "a less altruistic reason." "By going test-optional, they appear to be doing one thing but [are really] doing another," Burd told me in a recent interview from his office at New America, a Washington, D.C., think tank. The question is: Beyond the admirable goal of wanting to reach more traditionally underrepresented students, why else would schools go test-optional? "No. 1," says Burd, getting more applications "allows schools to then reject more students." And that, he says, makes them look more selective in the college rankings put out each year by U.S. News & World Report. If there's an advantage to be had, though, it's small. A school's acceptance rate accounts for just 1.5 percent of its overall rank. Burd also points out that, in a test-optional system, only students who score well on the SAT tend to submit their scores. "When the school then calculates what its average SAT score is, it ends up artificially inflating it." Again, that could help a school in the rankings, making its student body look smarter and the school look better. Though the folks at U.S. News disagree. If a school collects scores from fewer than three-quarters of its students, they say, its SAT average is automatically discounted on the assumption it's too high. Burd makes one more point in his column, and this one's harder to explain away. That bit I mentioned up top — about schools going test-optional to diversify their campuses — he says that may not even work. As evidence, Burd cites the work of Andrew Belasco, who was a doctoral student at the University of Georgia when he led this study of the effects of going test-optional: "The Test-Optional Movement at America's Selective Liberal Arts Colleges: A Boon for Equity or Something Else?" The study included 180 liberal arts colleges — roughly 30 of them test-optional — and Belasco looked at their enrollments over nearly two decades. What he found surprised a lot of people, himself included: "no statistically significant evidence suggesting that there was even a slight bump in diversity." That's surprising because African-American and Latino students have, on average, struggled with the SAT. There's also a correlation between family income and test performance. You can see it here: The higher the income, the higher the score. 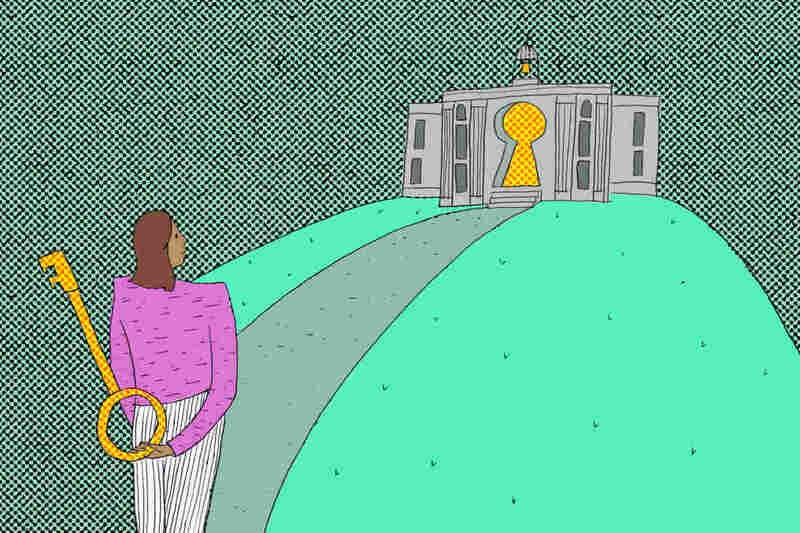 So, it stands to reason: Ditching the test should open some doors. The usual caveat bears repeating: This is just one study. And test-optional champions, including Bill Hiss, believe it gets a few things wrong. Hiss is a former head of admissions at Bates College. In conducting his own research on the issue, Hiss says he heard from admissions deans who told him "almost without exception" that their switch to test-optional had helped them reach underrepresented students. Hiss also cautions that any diversity bump will take time and that many schools simply haven't been test-optional long enough to see one. "Bates has had an optional testing policy for 30 years," Hiss says, "and we've seen the changes. They're dramatic, but they happened on a kind of long, steady uphill slope rather than some dramatic change in two or three years." It should be said, Belasco isn't a critic of test-optional. He says he thinks it could well increase the diversity of a school's applicant pool, but that's not the point. In actual enrollments, Belasco found no bump. It's hard to know why. Without test scores, some students may have trouble standing out. And some who are accepted likely can't afford to go — even with help. Tuition at George Washington University is now $50,000. Throw in room, board, books and everything else and you're close to $70,000. A year. "I think he raises a really good point," says George Washington's Koehler. "So we can't look at this as The Answer. This is one step that we felt would help us toward greater access." Other steps include building relationships with high school guidance counselors and rethinking financial aid policies. "Put your money where your mouth is ... You need to make college affordable, and you need to find these students where they are." Two big tests for schools that, if they want to diversify, are not optional.